On Thursday little one and I made our way to the hospital for our third visit with the allergy nurse. 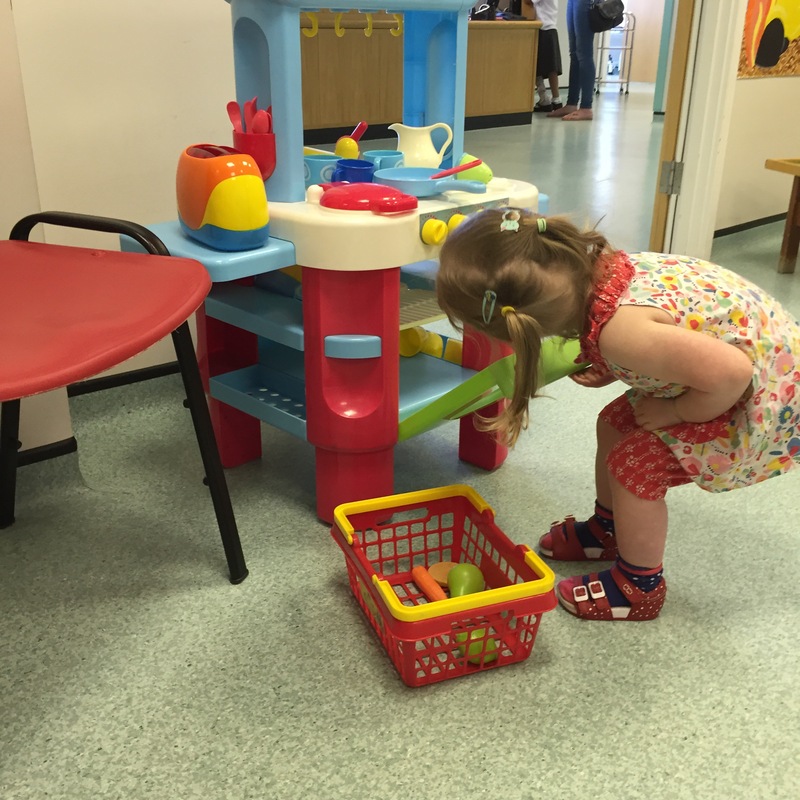 Little one loves the waiting room at the children’s ward and quite happily makes herself at home! Our allergy nurse is lovely and is so supportive, we discussed our appointment with the consultant and put a plan in place to tackle multiple allergies. Little one was tested this time for milk, egg and soya. Although suspected of an egg and soya allergy, I was hoping this test wouldn’t confirm it. Just a little reminder- this is our experience and I would always advise you seek advice from medical professionals! I am not a doctor. A pretty flower was drawn onto little one’s arm and the three allergens plus two control samples were placed on the skin in the petals and leaves. One control sample is intended to react positively and one negatively. Once the allergen is added to the arm a small prick to the skin, through the liquid, takes place. The reactions are read after 15 minutes. Little one happily played, until her arm became itchy, whilst I chatted to our allergy nurse. Milk and egg reacted pretty promptly, which was unsurprising. Soya, however, reacted negatively. Exciting news!!! With this information we discussed what course of action we should take. Milk: the results of this test and the fact we’ve had a few contact reactions during the past month has meant that we will continue to avoid milk for at least the next six months. It’s disappointing however little one is growing well, so it makes sense not to put her through unnecessary discomfort. Egg: Although there was a positive reaction, little one can tolerate small amounts of egg baked in cake. We decided to continue to give little bits of baked egg every so often but not to attempt the ladder yet. Soya: A negative reaction is really promising. Already little one can tolerate soya in bread as soya flour so we have decided to try the soya ladder again later this month. We’ll keep you updated! Bottles: Little one still has two bottles of milk a day. One in the morning and one at bedtime. At 27 months I know many toddlers aren’t doing this but it works for us and that’s all that matters. Her daddy and I do want to stop the formula though and move onto oat milk, and later soya milk once the soya challenge is completed. Over the next few days we’re planning to introduce oat milk in her bottles. Initially as a straight swap. If little one isn’t keen then we’ll mix the milks until fully onto the oat milk. Nuts: As you know we’re a nut free house. Little one’s daddy has a hazelnut and almond allergy which he developed at 17. Therefore we’ve never exposed little one to nuts. Our allergy nurse mentioned that children with an egg allergy are more likely to have a peanut allergy. I had also told her that we are looking for preschools for little one. So she suggested that it may be a good idea to introduce nuts ourselves, in a controlled environment, rather than by accident outside. Although a scary prospect we totally agree. Our house would still be a bit free zone even with a negative reaction, but it would be one less concern. 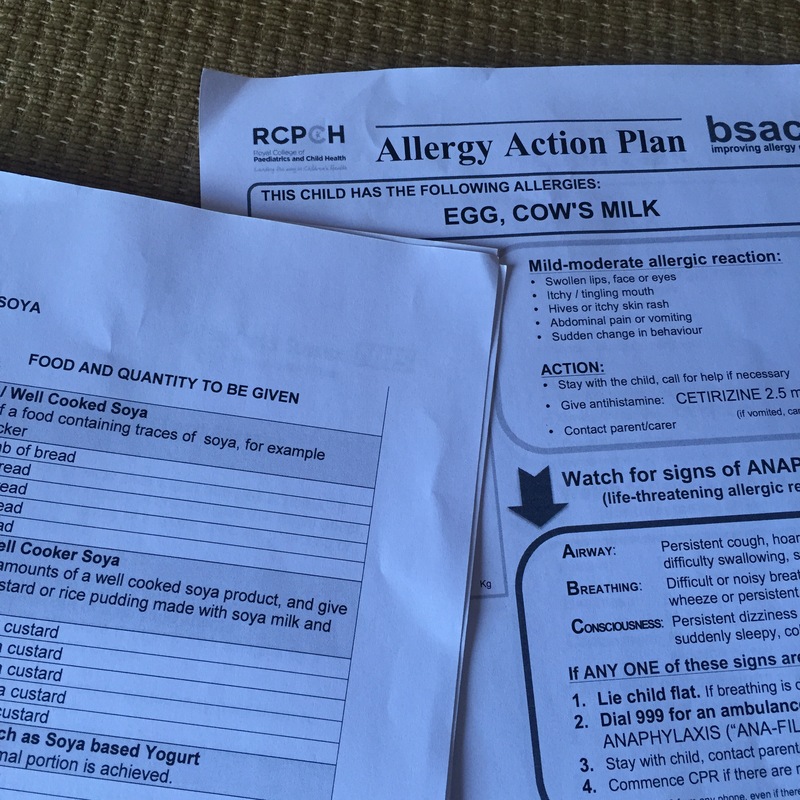 Preschool: When discussing with our allergy nurse that we are starting to visit different preschools, she offered to make an allergy information sheet that we could hand into the school. This lets them know clearly what little one is allergic and intolerant to, how to identify a reaction and what to do in the case of one. The thought of sending her to nursery is still terrifying even if it is a year away, but this is helping to feel more prepared. So overall even with the positive reactions to milk and egg I still came away from the appointment feeling happy. The allergy nurse worked with us to make sure that the next steps were not only appropriate for little one but had the whole family in mind. Little one was brilliantly behaved and definitely deserved a treat afterwards! Thursday turned out to be a rather fantastic day. 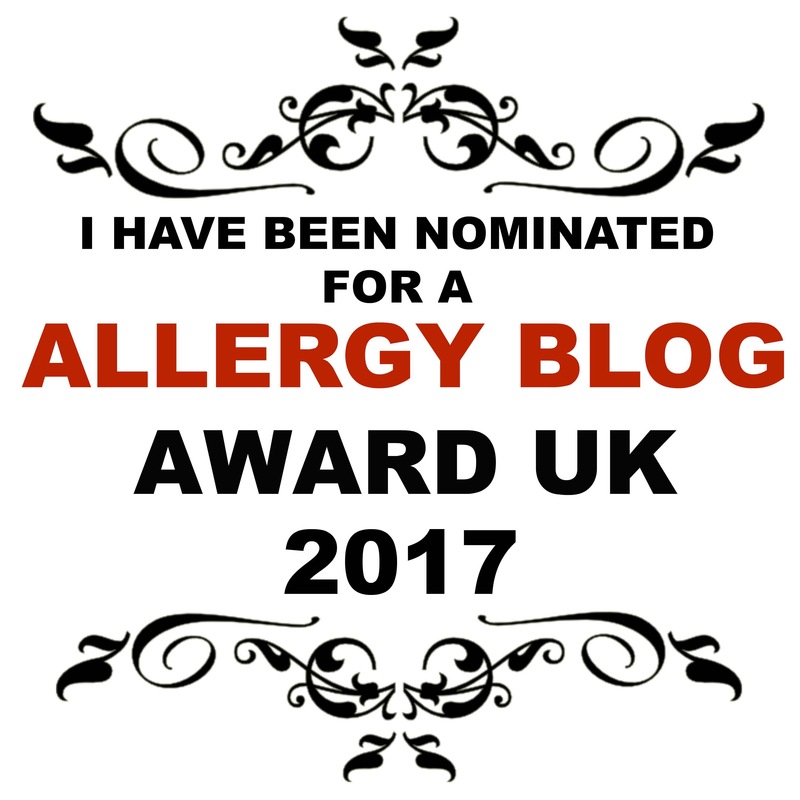 I received an email from the Allergy Blog Awards UK to say that mummybakesdairyfree had been nominated for an award. To say I’m over the moon is an understatement. I’m so grateful for the nomination and would like to say a big thank you to everyone who supports us. We have been so lucky with the support we received by medical professionals but it is the support of other allergy parents which have really helped us, especially in the beginning. When I started posting recipes on Instagram I didn’t imagine anyone seeing them, let alone finding them useful. So it means a lot when I receive feedback to say I have helped them in a little way. Thank you! !